In the process of investigating a good idea (said process being one that even Stephen Hawking said could destroy the Earth), those wacky boffins in Switzerland are preparing to generate in excess of 5 trillion volts of juice with their Large Hadron Collider in the next few days. The result could be the creation of miniatures black holes. But more than that: it could punch a hole through the normal dimension of space-time and allow a peek into universes other than our own. 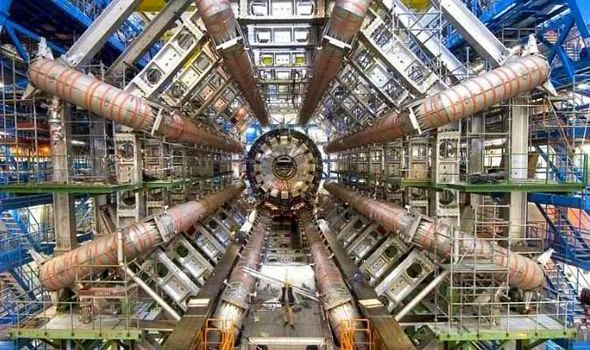 CERN's Large Hadron Collider (LHC) is being fired up this week after a two-year hiatus and a group of scientists think the results could prove the existence of parallel universes. A paper published by Dr.s Ahmed Farag Ali, Mir Faizal, and Mohammed M. Khalil in the journal Physics Letters B argues that the second run of the LHC produces or detects miniature black holes, which they argue could point to entire universes hidden away in higher dimensions folded into our reality. “Normally, when people think of the multiverse, they think of the many-worlds interpretation of quantum mechanics, where every possibility is actualized," Faizal explained to Phys.org. "This is not what we mean by parallel universes. What we mean is real universes in extra dimensions." One of the cooler things about this is that it could demonstrate a phenomenon called "gravity's rainbow", which among other things theorizes gravity "leaking" into our universe from others. Hmmmm... dunno if this is such a good idea. 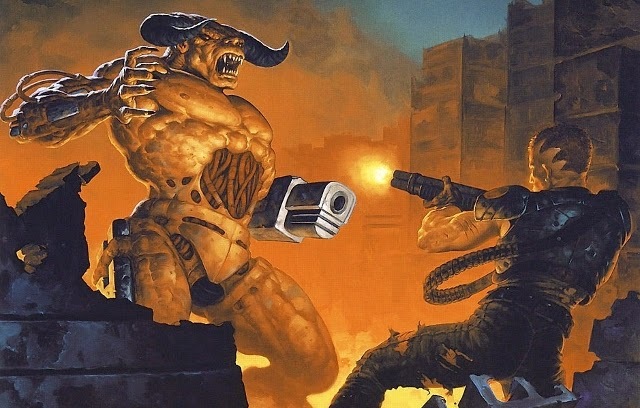 If memory serves, it was such experimentation that was the backstory of the classic video game Doom. Do we seriously want a potential gateway to Hell getting opened up in the Swiss Alps? Where the sanest place... is behind a trigger. Wonder if Black Mesa is in on any of that action. Black Mesa? This is more something that Aperture Science would be up to.